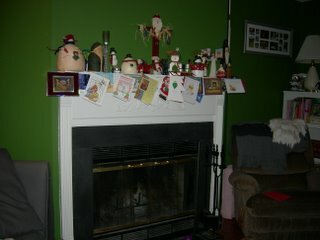 Cottage on Blackbird Lane: Our new mantel! We finally finished the long awaited project. My husband is awesome. Now I can actually enjoy a mantel. Yipee! And of course I didn't waste one minute. All the Christmas decor came out and now has a perfect place to sit.